Children love crafting for the holidays too. Here are 16 easy Halloween crafts for kids – they will have so much fun making them! I didn’t think there could be anything cuter than Halloween crafts – until I saw these Halloween crafts for kids. Oh, to be a child again and craft for the holidays! I think there’s nothing cute than “mini” characters and googly eyes, both of which are a key component to proper Halloween kids’ crafting. Some of these crafts are for younger children; some are for those that are a little bit older. You can always make substitutions depending on your child’s age (regular glue instead of a hot glue gun), or you can do the craft with them! Either way, you are going to have a blast. 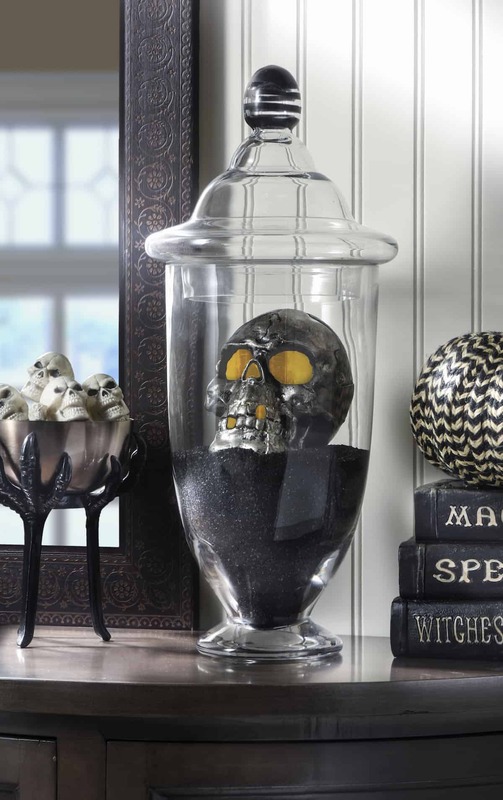 Scroll down to see my picks for 16 easy Halloween crafts for kids. All you need to do is fine the perfect round rocks, then your child will have a blast painting them like cute pumpkins. This is probably one of the most fun crafts ever – who doesn’t love googly eyes on vintage cards? Use pipe cleaners and foam balls to make cute characters that kids can hang on their jackets or backpacks. 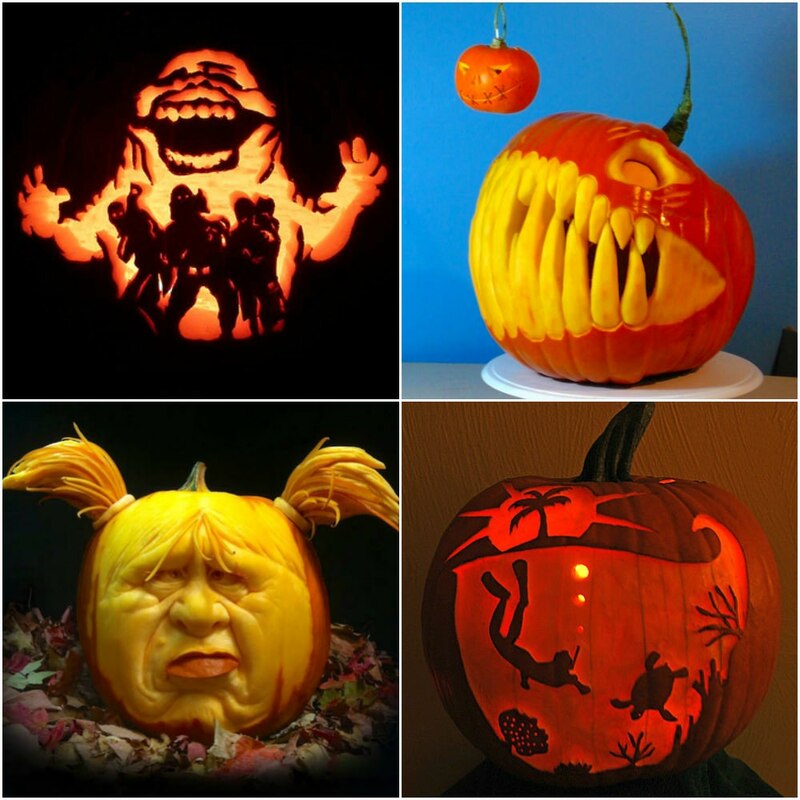 Older children can use a craft knife to carve everyday stamps into Halloween characters. 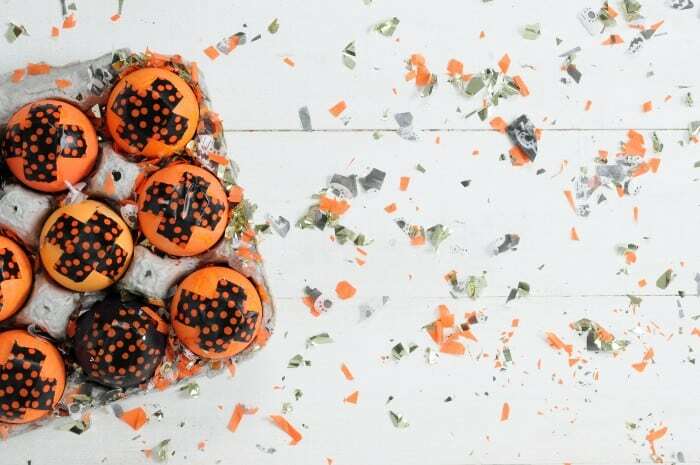 Use egg cartons and paint to create fun little Halloween characters that hold treats. Kids will love making play dough and then helping decorate the cute character jars to put them in. 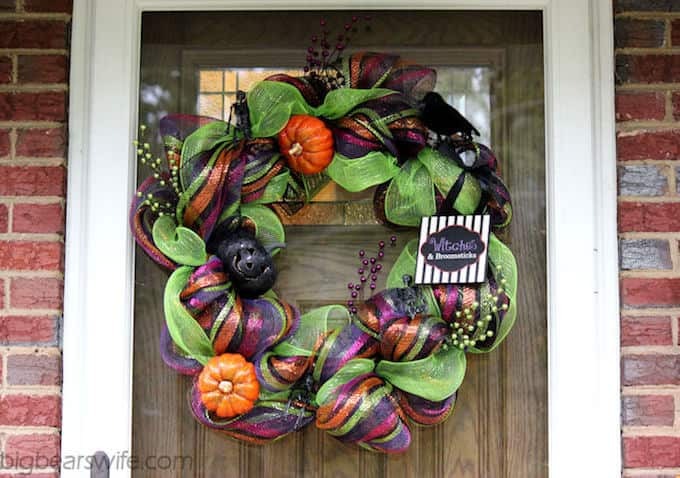 This is one of those Halloween crafts for kids you can use all year! Kids get to participate in this craft by tracing and cutting their handprints to make the monsters. Kids will have so much fun playing with paint, then lacing up the paper plates to create spider webs. I never realized how much q-tips look like bones! Kids will love making this fun art with them. These cute character balls can be made using craft foam and fabric scraps. 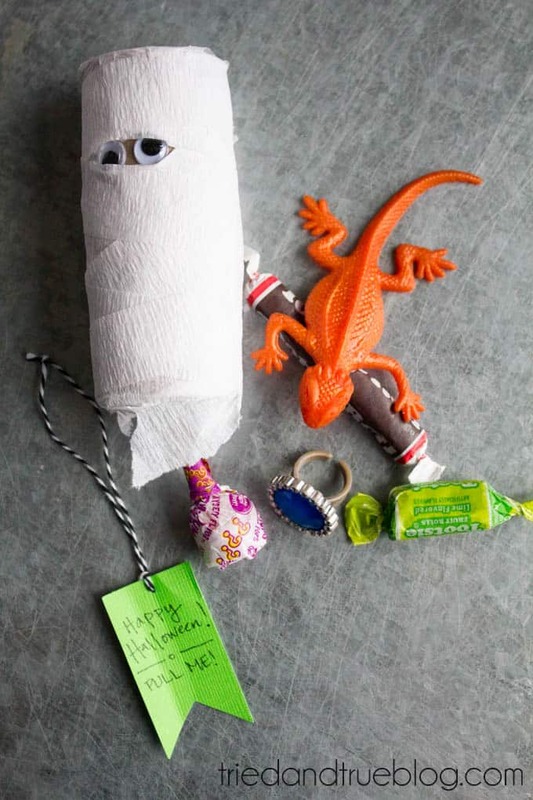 Any kid can do this craft, which requires a toilet paper roll and crepe paper. Don’t throw away old juice boxes – turn them into these cute monsters with felt. You can get old Christmas ornaments from your supplies or the thrift store and then turn them into colorful Halloween balls! Turn colored paper plates into happy Halloween monsters using markers, felt and foam. Turn a tissue paper box into a silly monster using paint and other fun supplies. Anything and everything deserves a mustache, especially cute pumpkins!